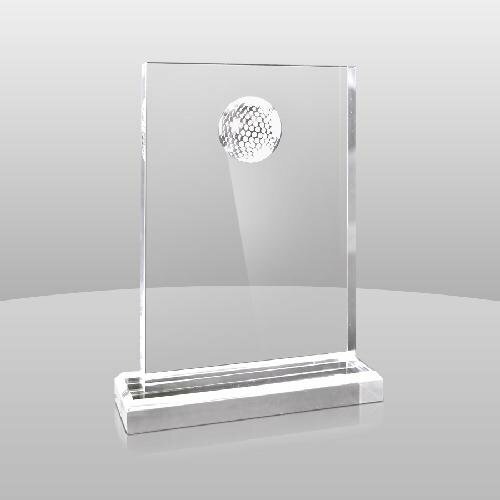 Designed with the golf ball dimples on the base and the top, this award is truly one of a kind. 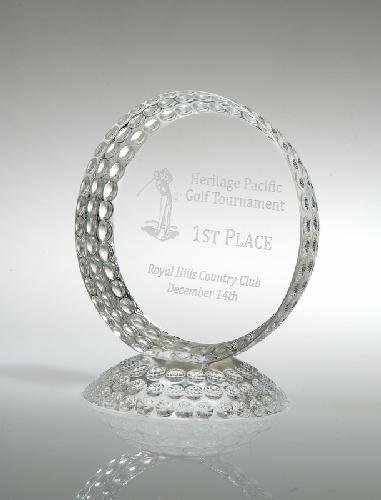 The large engraving area makes it a perfect award for your next golf tournament. 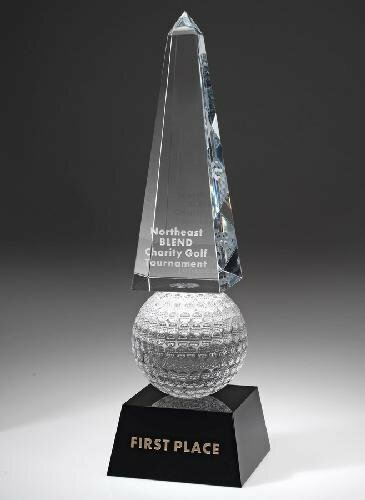 Any fan of golf would love this award. 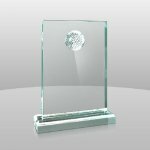 4 3/4" x 4 1/4" x 3 1/4"
5 3/4" x 5" x 3 3/4"
6 1/2" x 5 3/4" x 4 1/4"
A faceted sunflower trophy glued on a base with a golf ball sitting on a tee. 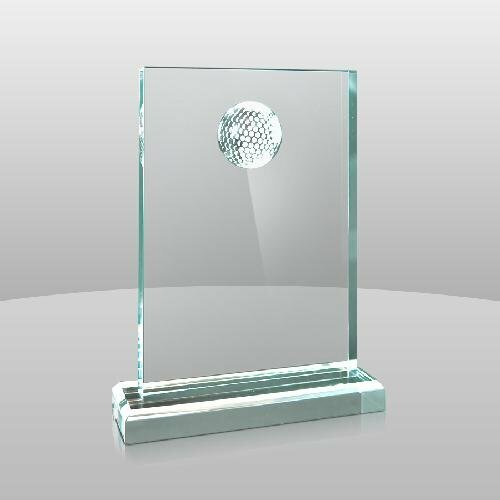 This award would be great for avid golfers. Looks great on any desk. 5 1/4" x 6" x 3/4"
6 3/8" x 7" x 3/4"
7 31/2" x 8" x 3/4"
This Green golf Hat clip comes with a magnetized removable 1 1/16" ball marker. The ball marker and the back of the hat clip can be customized. A nifty tool that everyone on the course will soon want. 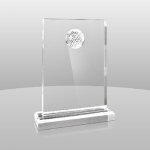 A 3-tiered award that will catch anyones eye. 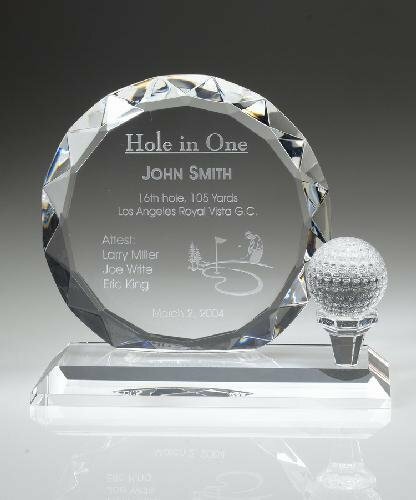 A well-crafted obelisk sits atop a perfectly shaped golf ball all glued on a beautiful black crystal base. 9" x 2 3/4" x 2 3/4"
12" x 3 1/2" x 3 1/2"
15" x 4 1/2" x 4 1/2"